• Position Specific and Unit coaching. THIS IS THE ULTIMATE RUGBY EXPERIENCE FOR ANY CHILD TO ENHANCE THEIR BASIC RUGBY SKILLS WHILE BEING IN A POSITIVE, FUN AND SAFE ENVIRONMENT. Due to the limited number of places on offer and the popularity of this PNBHS Rugby Camp, places will be confirmed on a first in first served basis. Payment MUST be made by Friday 6 July 2018. Payment can be made either by Cash/EFTPOS at the PNBHS Finance Office or by Online Banking using the details below. 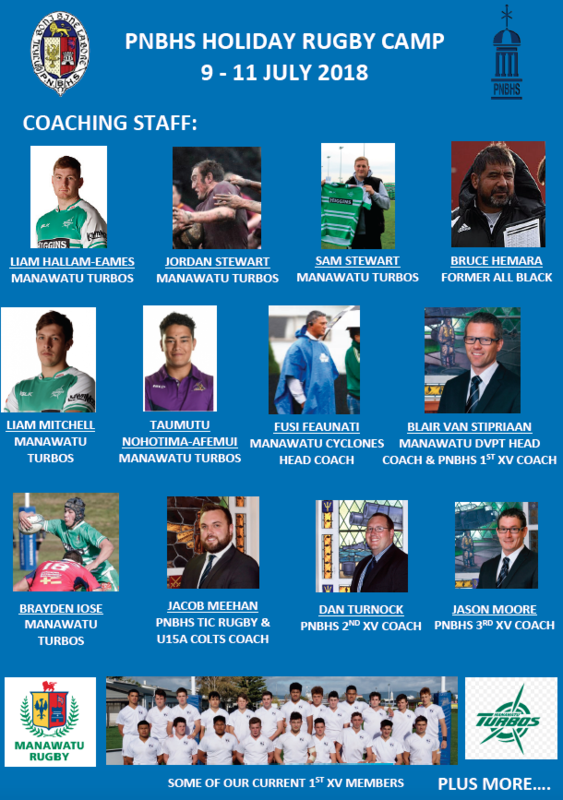 Please reference the payment with Rugby Camp and Full Name (Rugby Camp John Smith) as the reference. Please click here to register your interest for the PNBHS Rugby Holiday Camp 2018.